New World Development has been awarded the HR Asia Best Companies to Work For in Asia 2017 organised by《HR Asia》, one of the most authoritative Asian publications for Human Resources Professionals. This is a regional award to identify the best companies to work for in Asia in areas of employee engagement, talent acquisition & development and workplace practices etc. 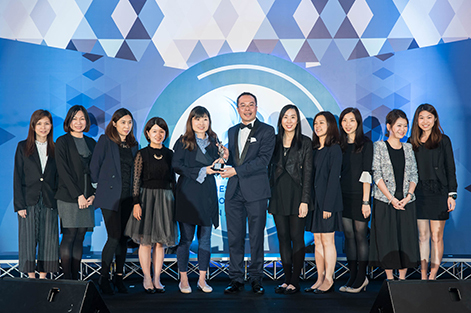 This is the third year for New World Development being recognised as Best Companies to Work For in Asia, which demonstrated New World’s continuous commitment in driving innovative and bespoke Human Resources initiatives and providing an engaging working environment. 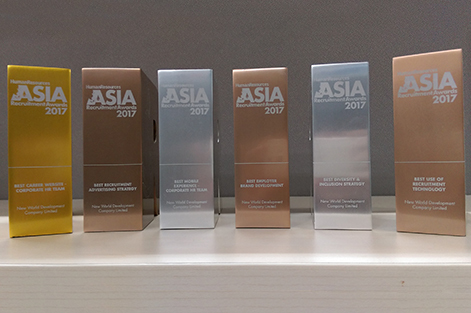 New World Development won six awards in Asia Recruitment Awards 2017 with its innovative talent acquisition strategy, including one Gold Award in “Best Career Website – Corporate HR Team, two Silver Awards in “Best Diversity & Inclusion Strategy” and “Best Mobile Experience - Corporate HR Team”. 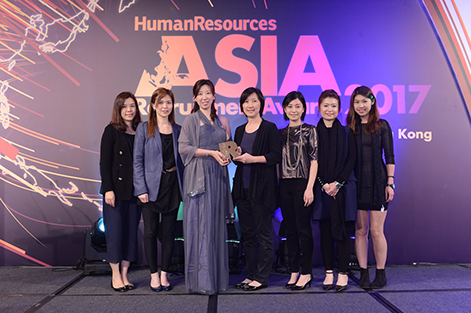 Asia Recruitment Awards 2017 is a regional recruitment award organised by《Human Resources》magazine, a leading publication in Asia for Human Resources Management. The Award signified that New World Development has deployed innovative recruitment strategies on acquiring the best talents. 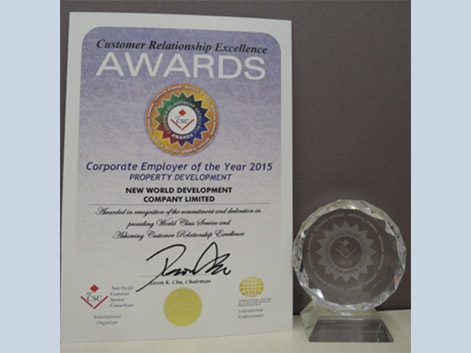 New World Development has been awarded the “Best Employers’ Award” for three consecutive years with its innovative and bespoke human resources initiatives. 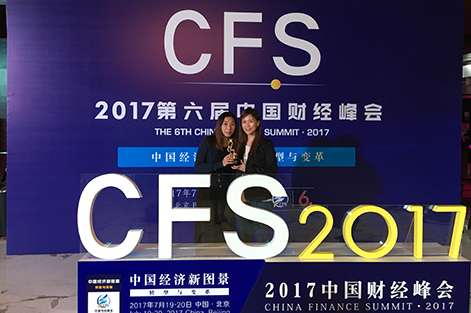 The award was presented by The 6th China Finance Summit 2017, which recognised corporations working along a well-established corporate culture, committing to innovation and demonstrating excellent human resources management practices. 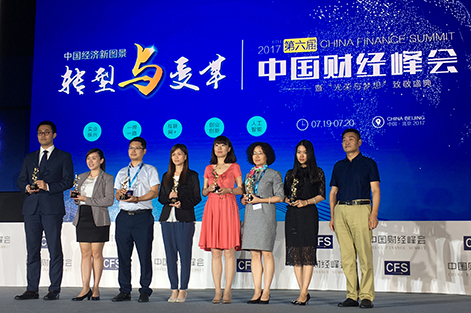 The China Finance Summit is an annual national conference which is one of the ideas sharing platforms with the greatest influential power in the economic circle in China. It expresses compliments to corporations that contribute to drive the development of Chinese economy and society. 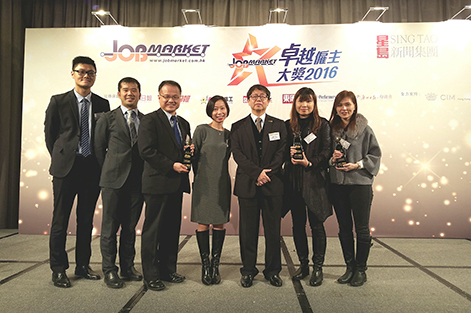 New World Development has made remarkable achievements in human resources management and talent development, sweeping three major accolades including Employer of Choice Award, Graduate Development Award and Human Resources Social Media Award at the 2016 Employer of Choice Award 2016, organised by JobMarket. 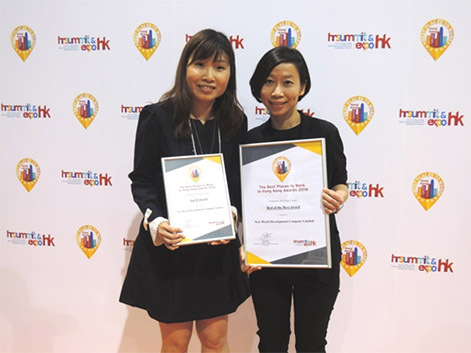 The Employer of Choice Award honoured the very best organisations that have demonstrated superior talent management strategies, programmes and HR best practices. It recognised the Company's commitment to both unleashing the potential of every Artisan and transforming the working life into an Artisanal New World. 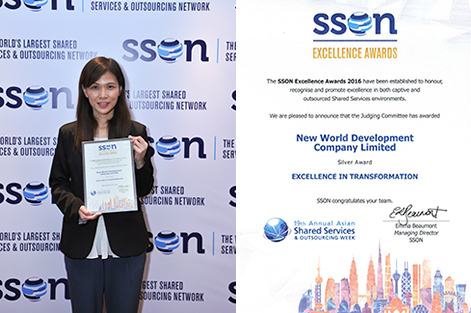 New World Development has been awarded the Excellence In Transformation (Silver Award), presented at the 2016 Shared Services & Outsourcing Excellence Awards (SSON), for its commitment in driving digital transformation in Human Resources management. SSON is one of the largest community of shared services and outsourcing professionals in the world. 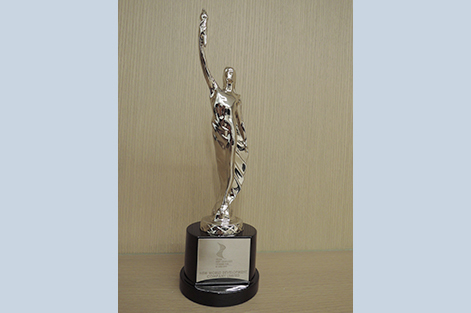 This award marked an important milestone in the Group’s international list of prestigious acknowledgements. 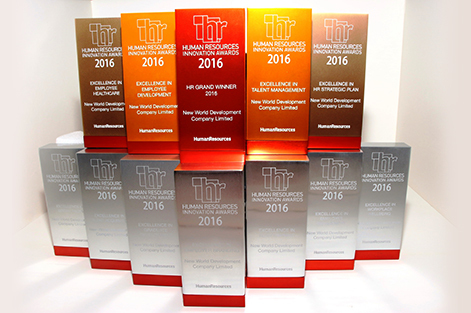 New World Development bagged twelve accolades at the HR Innovation Awards 2016, including the HR Grand Winner and two Gold Awards namely Excellence in Employee Development, and Excellence in Talent Management. 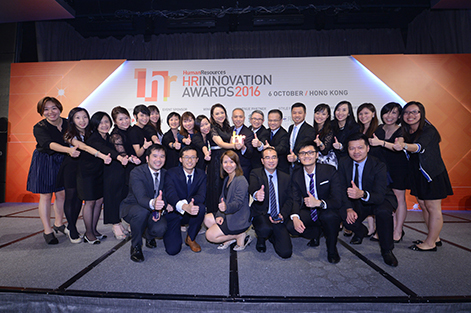 Organised by 《Human Resources》magazine, HR Innovation Awards recognised outstanding performance in human resources and talent development practices and prize-winners were selected by a panel of Human Resources professionals based on vision, implementation, impact and efforts for continual innovation in human capital management and strategies. The twelve awards signified that New World Development had deployed innovative strategies in all-rounded human resources and talent development initiatives which were recognised by the market. In New World Group, we see talents are the most important asset. Over the years, the Group has introduced a series of unconventional programmes and policies to demonstrate its care for employees and their families. New World Development has been awarded a Family-Friendly Employer in the 2015/16 Family-Friendly Employers Award Scheme organised by the Family Council Participated by over 2,700 organisations. The award scheme recognised outstanding family-friendly practices, encourages implementation of such employment policies and measures to promote care for families in community. 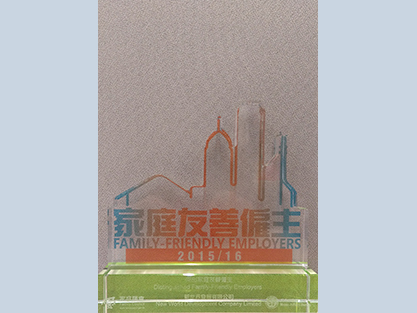 New World Development was also named a Distinguished Family-Friendly Employer and received Special Mention (Gold) for being a Family-Friendly Employer in 2011, 2013/14 and 2015/16. 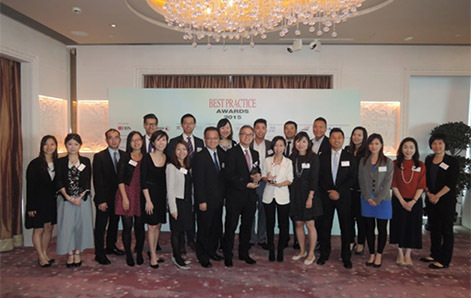 New World Development was the top ten enterprises to receive The Best Places to Work in HK Awards (Construction / Real Estate Category) in the HR Summit & Expo 2016. 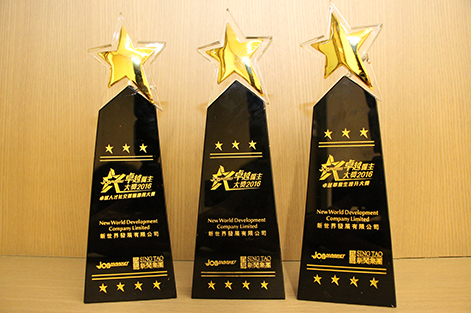 Among the top ten, New World Development also received the Best of the Best Award. 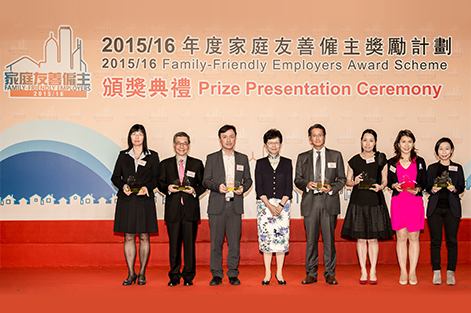 The award recognises the outstanding enterprises who are dedicated to the well-being of their employees. The Best of the Best in the category was voted among the top ten corporations by corporate executives and Human Resources professionals across industries. The top ten were nominated by the judge panel constituted of business leaders and Human Resources professionals after rounds of selection with all-rounded criteria including company culture, learning & development opportunities, management/leadership and work-life balance etc. 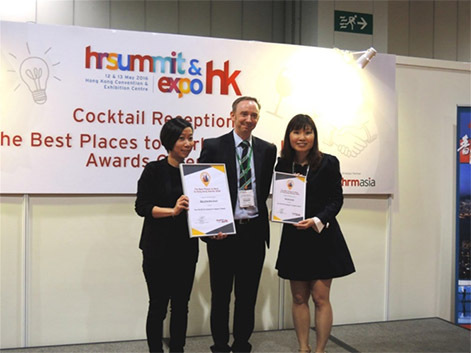 HR Summit & Expo 2016 was jointly organised by HRM Asia and Diversified Communications. Being awarded the “Best of the Best Award” signifies that New World Development has advanced to a new height with its bespoke Human Resources initiatives. 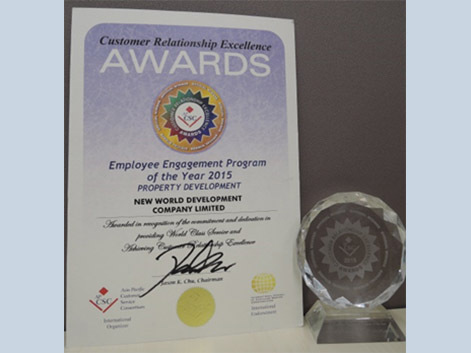 New World Development garnered the Customer Relationship Excellent (CRE) Awards 2015, achieving customer excellence in “Corporate Employer of the Year “ and “Employee Engagement Program of the Year” in Property Development Category. 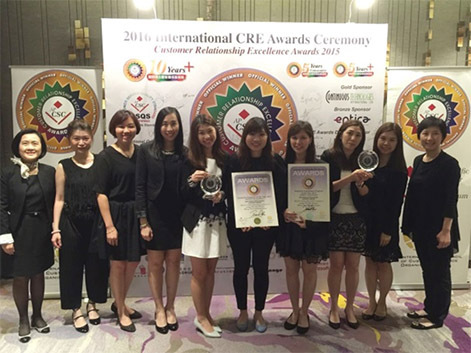 CRE Awards is organized by Asia Pacific Customer Service Consortium, and winners were selected by the International CRE Awards Committee based on the business case presentation, public voting, and written & on-site assessment on management responsibility, resources management, process management and performance management in accordance to the Customer Service Quality Standard (CSQS). CRE Awards recognises organisations that are committed and dedicated in providing world class service and achieving customer relationship excellence. Being awarded the Awards demonstrated that New World Development had taken a significant and effective role in achieving excellence by enhancing the employee engagement and cohesiveness. New World Development garnered two honours at the Best Practice Awards 2015, including Best Practice in Performance Improvement/Management and Best Practice in Learning Organisation Development, a testament to the Group’s foresight and commitment to developing the best practice that can cope with the fast-changing environment. 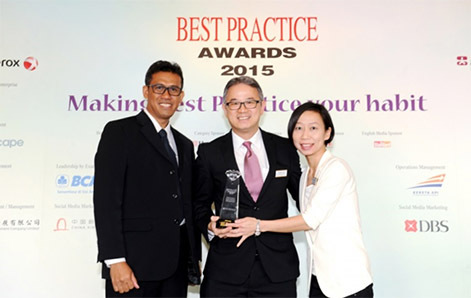 Presented by the Best Practice Management Group, the Best Practice Awards honour companies which have implemented defined business processes to reap tangible benefits to its business and customers. 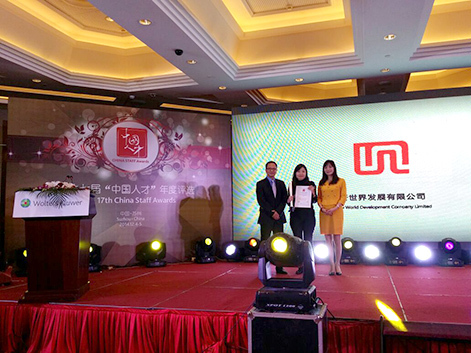 New World Development won the Best Practice in Engagement & Retention honour in the 17th China Staff Awards 2014 for excellence in employee care, performance management and employee development. 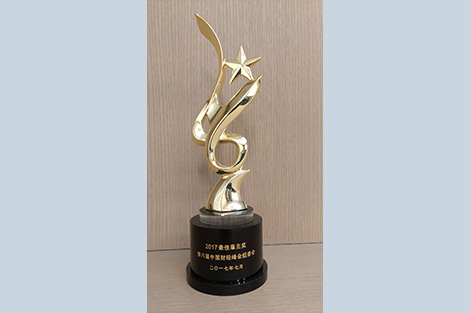 Organised by Wolters Kluwer, a global information service provider and the publisher of the China STAFF Magazine, the China Staff Awards recognise outstanding Human Resources practice of organisations in the Greater China region (including mainland China and Hong Kong). 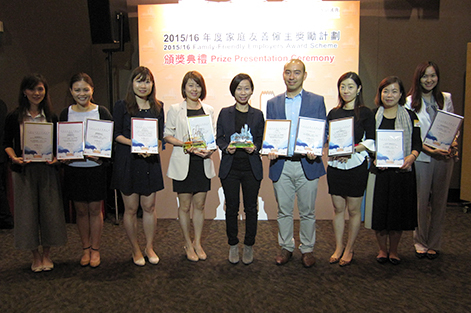 China Staff Awards is one of the most acclaimed annual industry awards in the Greater China region and this accolade signifies New World Development’s prominent step of going beyond Hong Kong.